The day before, put the dried fruit plus the alcohol, orange and lemon juice and the bayleaf into a large bowl. Stir well to mix, cover and leave for at least 12 hours to plump up. The next day, grease a 1 litre (2 pint) pudding bowl with vegan spread, then line the base with a circle of greaseproof paper to ensure the pudding comes out once cooked. Remove the bay leaf from the fruit. Add the lemon zest, spices, salt, sugar, treacle and apple and mix. 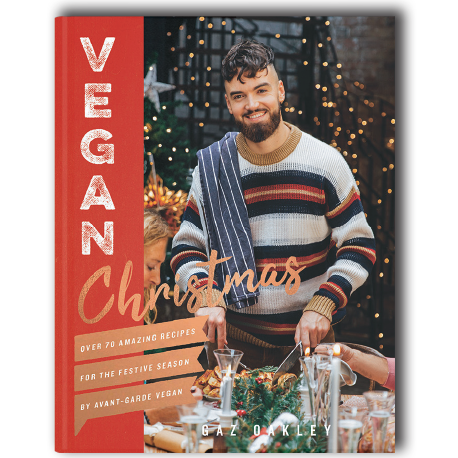 Stir in the vegan spread and breadcrumbs. Sift in the flour and baking powder and fold in. Spoon the mixture into the pudding bowl, leaving a 2.5cm (1in) gap at the top. Cover with greaseproof paper, then a sheet of foil and tie with cook’s string. Put an upturned ramekin in the bottom of a saucepan. Sit the pudding on top, then pour in boiling water half way up the sides of the pudding. Cover and simmer over a low heat for 5 hours, topping up the water when needed. Lift the pudding out and leave to cool. Store for up to a month before serving. Steam again in the same way for 30 minutes. Add 2 shots of vegan-friendly brandy to a saucepan and heat over a low heat for 2 minutes. 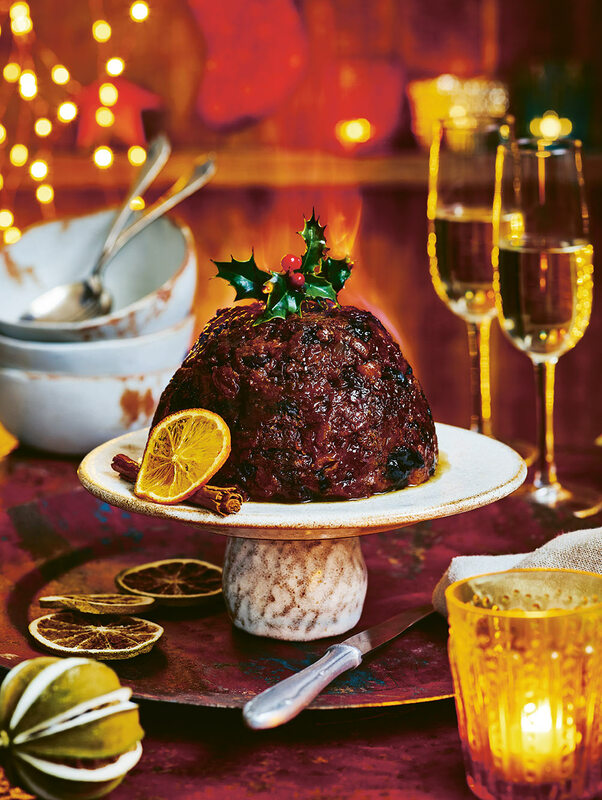 Light the brandy with a match, then carefully pour over the pudding for that festive flame.